Hi Lovely! 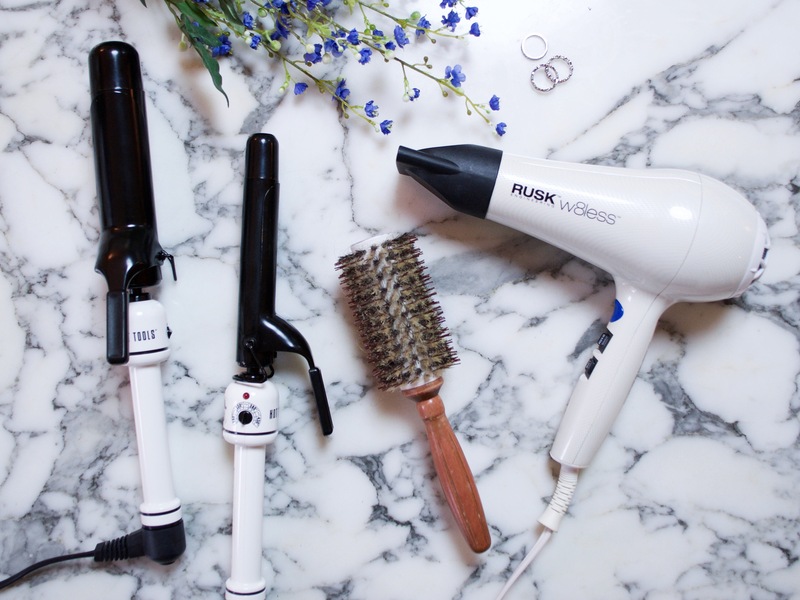 Today I’m going to be chatting about the 3 best hair tools you need to achieve that perfect blowout. I am a self-proclaimed hair fanatic: from tools, products, cut, color, styling – I love it all and I’m excited to share my favorite tools that I’ve been using for YEARS. Before we get started, there are a few terms that we need to cover before we get into the tools so that you can understand why these tools are so ah-mazing! Helps your hair grow faster and prevents hair loss because the bristles stimulate blood flow to your hair follicles. Conditions and softens your hair, adds shine, prevents hair breakage and frizz by distributing your hairs natural oils throughout the rest of your hair. If I had to pick ONE THING for every single woman to replace, it would 1000% be a hair dryer. The right dryer can cut your dry time in HALF while leaving your hair thick and shiny. I have been using a ceramic and tourmaline dryer for 10+ YEARS because my hair is thick, wavy, frizzy and takes FOREVER to dry. Ain’t nobody got time for that!! This Rusk dryer cuts my dryer time from 25 minutes down to maybe 10 minutes. It also won’t make your arm fall off because it weighs practically nothing. I’ve tried a lot of different dryers over the years, including CHI’s top of the line $190 dryer, and hands down – this one is my favorite! And it’s only $46!! I got my sister hooked on this dryer too and she raves about it. Read my tips for extending your blowout for days. There is no need to spend hundreds of dollars on a curling iron! Hot Tools makes an amazing ceramic curling iron that heats evenly, is less damaging to your hair and increases shine. I have the 1” and 1.5” versions and use it depending on what kind of curl I’m going for (soft and loose curls hair tutorial here). Both are amazing finds that I can’t live without. So these are my go-to tools! What did you think of this post? Do you want to know what products I use in my hair? Product is just as important as the tools that you use! And I want to mention that when I was at DryBar last week – they used boar bristle round brushes on all of their clients’ hair! It really is the best brush.